Two years ago our family lost someone very special and to honor his memory and share his love for gardening and his love for daffodils, we purchased daffodil bulbs to give as gifts. 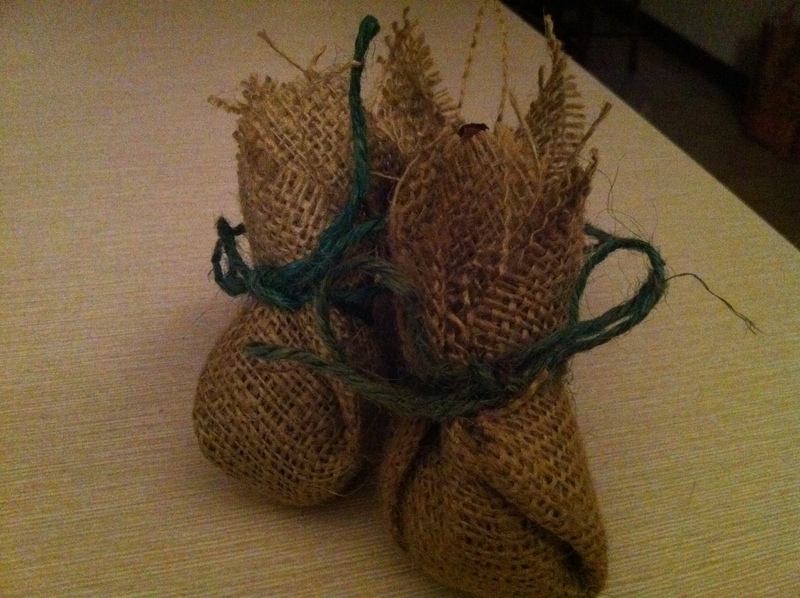 I wrapped hundreds of individual daffodils in burlap to share. These little bundles of garden love were very well received and are gifts that will live on and on … just like our love for Uncle Tony. Great idea. They will always remember him. Yes, when their daffodils blooms they will remember his inspiring story. What a lovely way to honor & pay tribute to someone!